Niger Delta Avengers: WE ARE NOT INTIMIDATED. The Nigeria Military is playing some war game on some illegal bunkering camps and showing video of how they carry out the bombardment. That is so unprofessional don’t think they can intimidate the NDA with those scarp jet bombers. They can deploy fourth generation jet-bombers that will not stop us from fighting for our people. We challenge the military to share with the public the militants killed in the so-called sir strike. We are very sure they won’t share the images of militants killed because non was killed except innocent women and children. What we are saying is the country should be restructured. The call for restructuring of Nigeria has gone beyond the NDA. The only group of persons against the restructuring is the Villa. The federal government should just listen tot the voice of the citizens instead of playing the deaf ear game. We officially saying that @agbiniboND is our new official twitter account handle. Twitter can block or suspend our account but they can’t stop or block our struggle. You people are very brilliant and core opposition to the Nigeria Govt ,, the fear of Avengers freedom fighters most bring the restructuring to the country call Nigeria ,, you people has mad look useless ,, Buhari was bragging how he will crush the ND Militants ,, but you the Avengers has make Mr Buhari to be a useless President ,, i support you people plz never give up because Avengers is the only voice of the voiceless in the South East and the South South ,, the other Militants are all hungry seeking for dearly bread from the Nigeria Govt ,, you the avengers are standing on your words and is really effecting the Zoo Govt ,, i want you to keep on and we are praying for you people ,, no evil of the king of the Persia will stand against the children of Israelite the Avengers Amen ..
Freedom Fighter...keep the spirit alive and the struggle on. No weapon fashion against you shall prevail. Fulani So-Called Herdsmen incessant killings that is now going rampant. Why is our oga-on top fail to address fulani herdsmen killings. Is only the living that can benefit from a won battle of anti-corruption fight.....the government of the day has failed to addressed the yearning of the poor masses. "Restructure the zoo" We can start from there. Victory comes only from God. I am sure NDA victory is a Biafran victory. Yes, General, thank you so much. We are counting on you. RESTRUCTURING for regionalism and resource control is the least acceptable. You have shown magnanimity to give the Federal Govt of Nigeria soft landing for taking the path of restructuring. Let every region develop and exploit their resource and pay taxes to the centre. Regionalism will engender transparency and good governance and eradicate DO-OR-DIE politics as ACCOUNTABILITY will be the watch word. Niger Delta people deserve to control their resource to actualize the development befitting of the wealth in their land. I use this opportunity to call on all Niger Deltans to throw away politics and selfishness and work towards one purpose of developing our region. At least your present will slow down islamization of Nigeria. 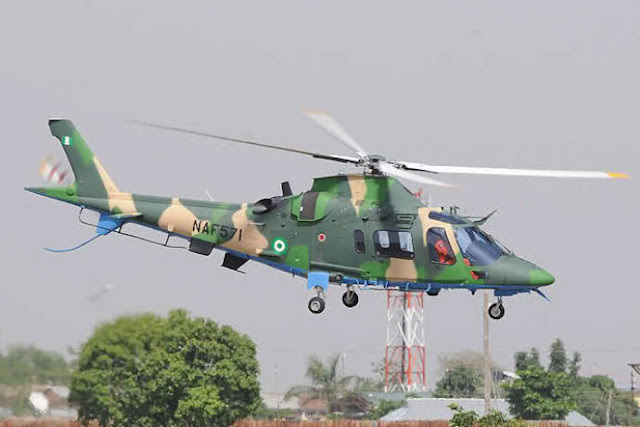 UP NDAs Baba God is on our side and nothing can stop us... please, don't mind Nigerian Zoo's called them self Military that specialized in killing innocent people. God will see us as buhari is trying to islamize this country which he would'nt succeed. GOD BLESS U ALL. A crack has appeared within the ranks of the militant group, the Niger Delta Avengers (NDA), with the breakaway group announcing itself as the Reformed Niger Delta Avengers (RNDA). The split was announced in a statement signed by one Cynthia White. According to the statement, the RNDA decided to split from the Niger Delta Avengers after appeal by former President Goodluck Jonathan and its conviction that the peace initiative of the Movement for the Emancipation of the Niger Delta (MEND) is genuine. The RNDA added that it also experienced a feeling of guilt over the damage being some to the Niger Delta on our environment at a time the government of President Muhammadu Buhari has shown commitment to the cleanup of the Niger Delta environment. The new group promised to reveal the identities of those behind the resurgence of violence in the oil-producing region. "We have decided to join the MEND Aaron Team 2 peace initiative through the clearing house of Niger Delta Dialogue and Contact Group (NDDCG) headed by HRH King Alfred Diette-Spiff. "We will also cooperate with the government by exposing the identities of our comrades who remain stubborn in their insistence to continue attacks. "For example, it will shock the nation to know the Jekyll and Hyde personality behind the pseudonym 'Brigadier General Murdoch Aginibo' and our sponsors," the group threatened. It also called on members of the Indigenous People of Biafra (IPOB) to take advantage of the olive branch concession secured by MEND to the agitation for a Biafra Republic, which it branded an anachronism. "Those advising Mr. Kanu (Nnamdi) to do otherwise do not love him nor appreciate the level of treason this simple act of common sense and humility can extricate him from. "The Niger Delta will no longer be your proxy in a war to achieve your ambition. "To our comrades in the NDA, we urge you to stop being defiant and embrace peace and the wise counsel we all received from former President Jonathan," counseled the RNDA.